The G7 envoys unanimously support the sovereignty and territorial integrity of Ukraine. Acting on the president's instruction, Ukrainian Foreign Minister Pavlo Klimkin, Defence Minister Stepan Poltorak and Security Service of Ukraine chief Vasyl Hrytsak have held a briefing for G7 ambassadors in the Ukrainian Foreign Ministry. "Because the occupying state has staged another provocation on the temporarily occupied territory of the Autonomous Republic of Crimea, it was noted that any accusations against Ukraine are groundless," the Foreign Ministry said on its website. It was said at the briefing that the aggressor country seeks to destabilise the situation in Ukraine and the whole region. 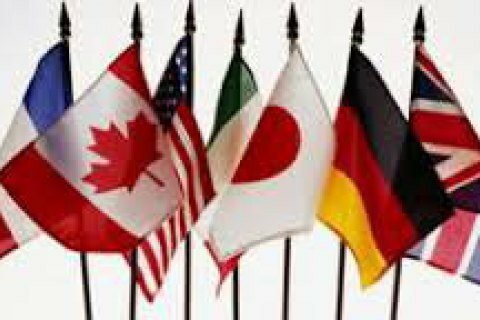 The G7 ambassadors confirmed unity in supporting the sovereignty and territorial integrity of Ukraine and using all political and diplomatic mechanisms aimed at stopping the Kremlin's aggressive actions. Earlier on 12 August, Russian Prime Minister Dmitriy Medvedev said Moscow may sever diplomatic relations with Kyiv over what he described as an attempt to penetrate Crimea by "sabotage and terror groups" from among the special troops of the Ukrainian Defence Ministry, which, he said, resulted in the death of a Russian serviceman.